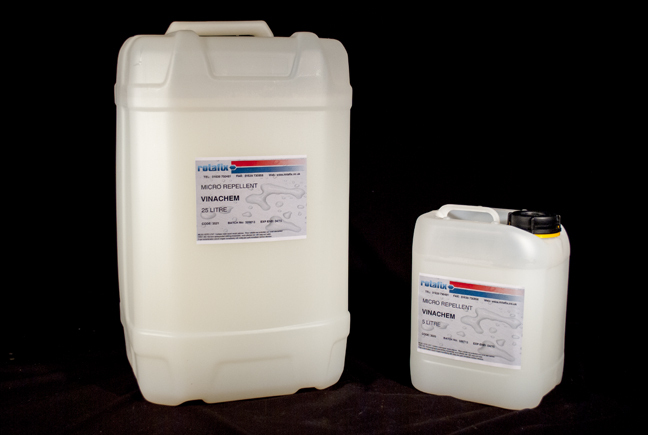 Rotafix Vinachem is an aqueous polymer solution containing fine acrylic particles which affords maximum active penetration into concrete, masonry and brick. This water repellant can also be used on some types of soft and hard woods to form a moisture resistant barrier. Coverage 3-10m2 dependent on the substrate.